If you’re a horse owner or enthusiast, you’ll want your equine friends to be fit and healthy all year round. Recent cases of equine influenza* in the UK this year have been getting a lot of attention. Race meetings have even been cancelled as a result of infection, and some active yards quarantined. At The Insurance Emporium, we like to keep you in the loop, so we’ve looked into what you need to know about equine flu. It’s a disease that’s common, but can be nasty! What’s particularly worrying at the moment is the number of cases occurring, and the fact that many of these are in equids who’ve been vaccinated against the virus. This might mean the disease is mutating into new strains faster than we can produce the vaccines for them – which could result in more outbreaks like the current one in the future. Equine influenza is a highly infectious virus, similar to human flu. 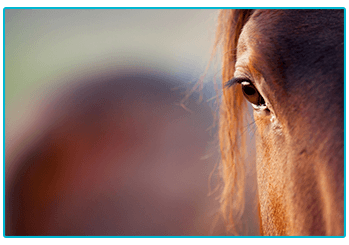 Within horses, it can be quite damaging, with recovery periods lasting from at least three weeks, to several months! This can be especially disruptive for working horses, or those used for racing^. It’s rarely fatal in adult horses, but can be dangerous to foals, mares in foal, or horses who were already ill. Some of the main symptoms to look out for include fever, loss of appetite, lethargy, a snotty nose, swollen neck glands and a cough. The incubation period for equine flu is around 48 hours, so once it’s reached stables or a yard, it can be difficult at first to know which horses might have been exposed. Not a disease that’s easily contained, there are some measures you can take to help reduce its spread. These could include limiting contact of your horse with others, not sharing equipment and avoiding communal food and drink. One of the most important things may also be to keep yourself and your equipment clean! Whilst some racing has been cancelled, the full extent of the outbreak is as yet unknown. If infected horses were close to others during recent race meets, we could see many more contracting the virus over the coming days. The British Horse Association is working to find out as much information as they can, so as to better understand what’s going on, and hopefully curtail the spread of the disease. Whilst equine flu is a serious concern, it’s important not to let it get in the way of spending quality time with your horse! 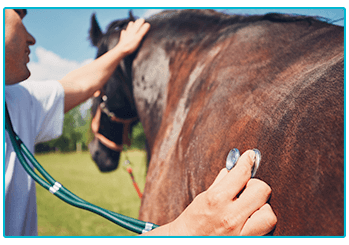 If you have any concerns that your horse might be infected, the best thing to do is get in touch with your vet as soon as possible. One thing that could give you peace of mind is taking out horse insurance. It won’t prevent your horse getting sick, but could help remove some of the worry if they do. At The Insurance Emporium you could get up to 30% discount** on Horse Insurance, with cover for Vet’s Fees up to £5,000 per incident available as an Elective Benefit. Head to The Insurance Emporium to find out more! * The Insurance Emporium will not accept any claim as a result of equine flu unless your horse is vaccinated against it. 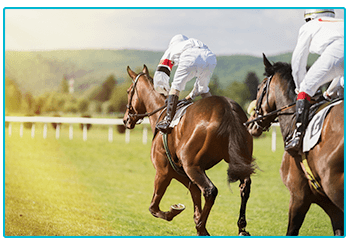 ^ The Insurance Emporium does not provide cover for race horses. ** The 30% discount is made up of 20% Introductory Discount plus 10% Multi-horse Discount (if appropriate). The Introductory Discount is available for the first 12 premium payments on lunar and calendar monthly policies or one premium payment on annual policies. This blog is in no way sponsored, endorsed, associated with or administered by the British Horse Association.